Filter Cartridge; Cartridge Dimensions 3.25 Inch Depth x 20.75 Inch Height; Flow Rate 2.5 GPM; Temperature Rating 35 to 100 Deg F; Pressure Rating 10 to 125 PSI; Applicable Standard ASTM F838-05, NSF/ANSI 42/53, ISO 17025; Capacity 25000 GallonThe 7FC Cartridge offers increased capacity for extended reduction of chemical and mechanical contaminants. It is a balanced cartridge for optimum performance in varying water qualities. This cartridge improves the taste of fountain beverages and helps retain the drink's carbonation. 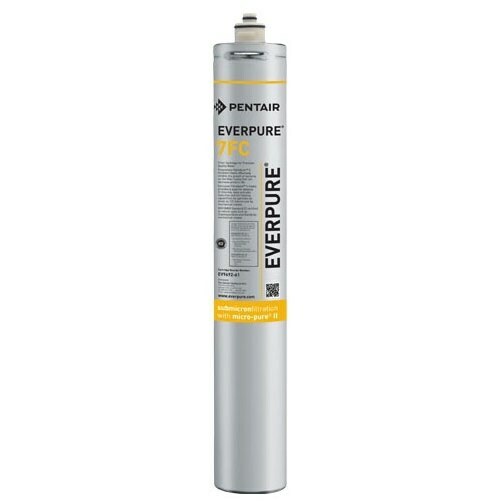 It also protects drink system seals, pump, tubing and small orifices from clogging, corrosion and abrasive wear.